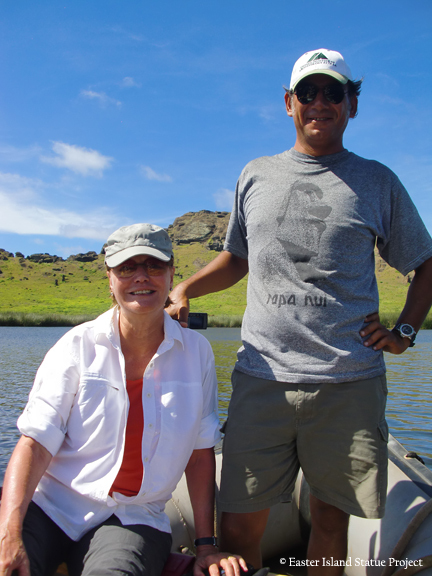 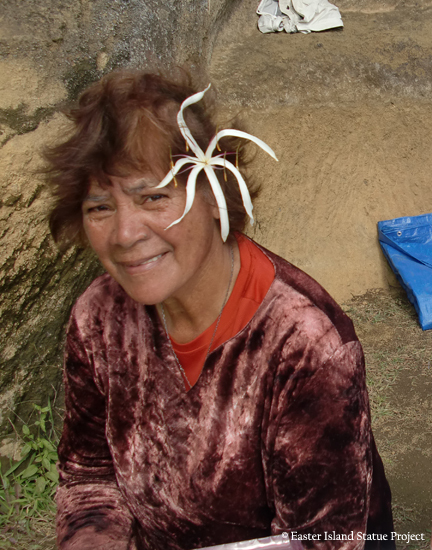 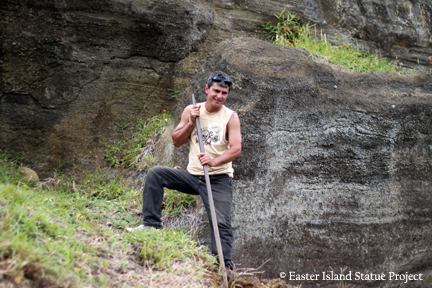 Jo Anne Van Tilburg and Cristián Arévalo Pakarati lead an all-Rapa Nui crew and core staff consisting of Dario Ika Paoa, excavator; Patricio Rodrigo Madariaga Paoa, excavator; Vaiheri Tuki Haoa, photographer; and Rosa Lucía Ika Paoaand Anastasia Ika Paoa, logistics and support. 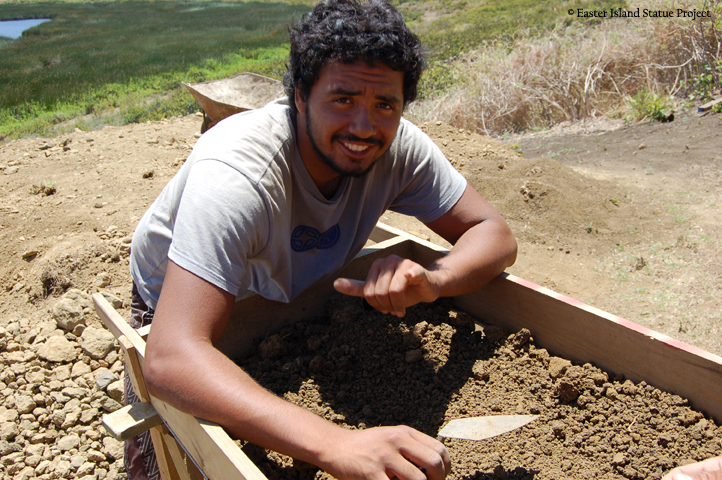 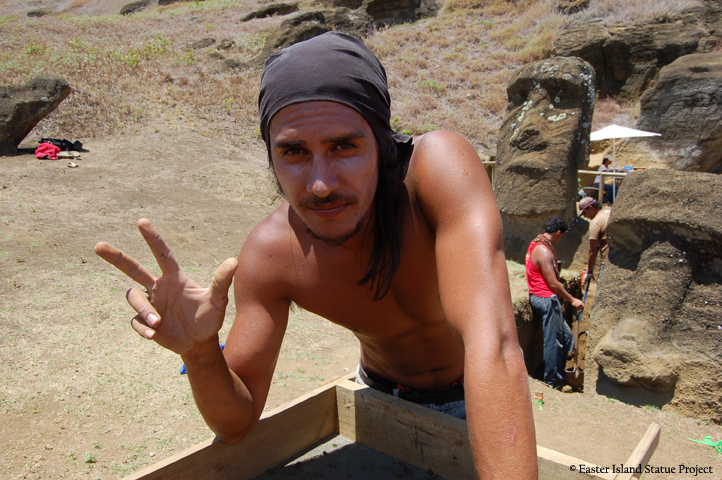 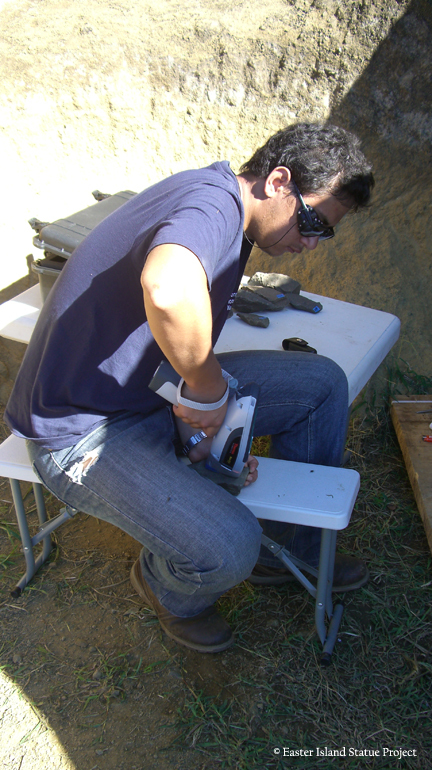 Rapa Nui students in archaeology and conservation, some of whom are from Universidad Internacional SEK, include Isaías Hey Gonzáles, Joaquin Soler Hotu, Rafael Paoa Rapu, Tiktehatu Astete Paoa and Felipé Rubio Munita. 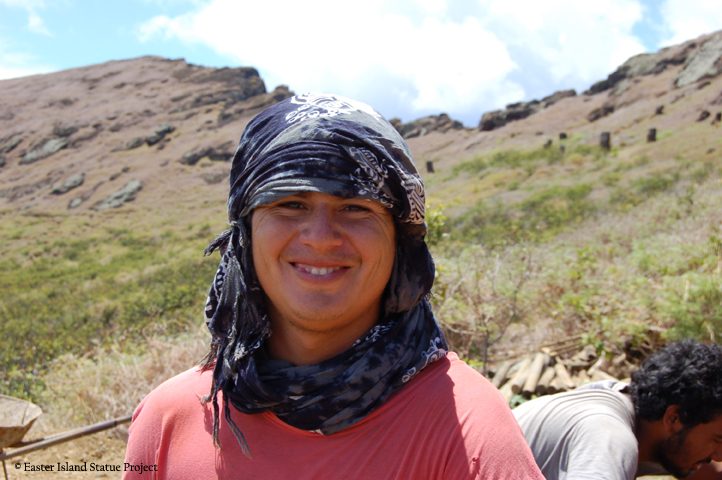 Dr. Christian Fischer and Mónica Bahamondez Prieto are in charge of the conservation initiative of our AIA-funded project, with Paula Valenzuela and Tahira Edmunds on field data collection. 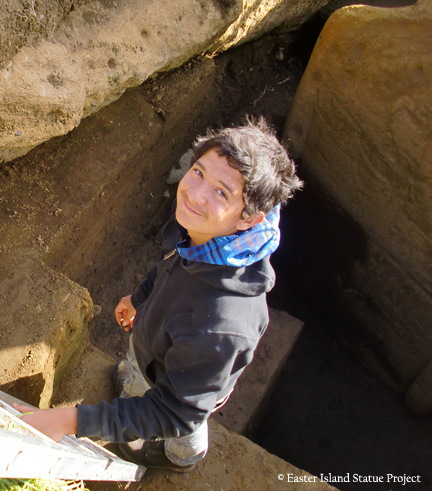 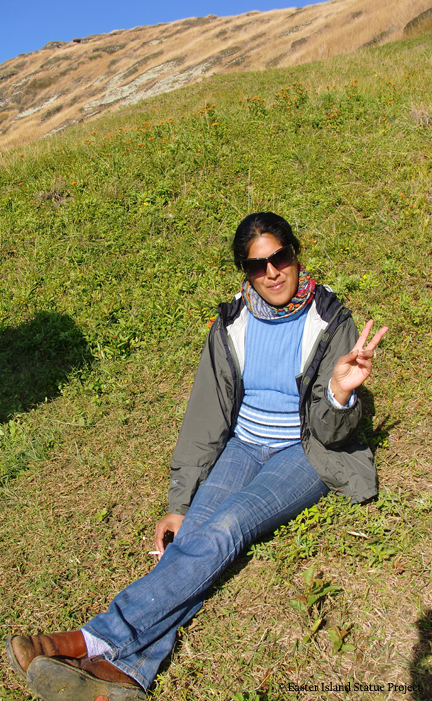 EISP staff who have worked on the excavation include Alice Hom (2010) and Kim Anh Hoang (2011). 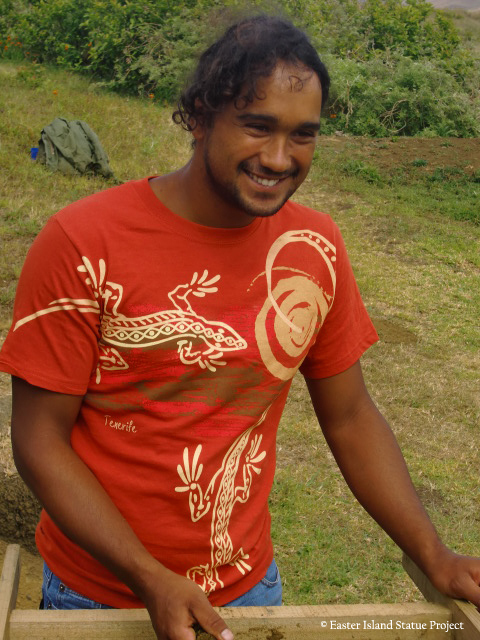 Volunteers include Tokerau Pakarati Icka, Hotu Pakarati Icka, and Johannes Van Tilburg, FAIA. 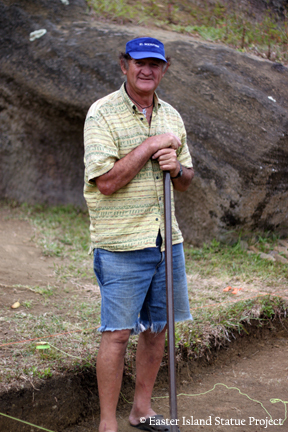 CONAF employees, especially Pablo Hito, have all been present or involved at one time or another.